Once upon a time a daughter complained to her father that her life was miserable and that she didn’t know how she was going to make it. She was tired of fighting and struggling all the time. It seemed just as one problem was solved, another one soon followed. Her father, a chef, took her to the kitchen. He filled three pots with water and placed each on a high fire. Moral: In life, things happen around us, things happen to us, but the only thing that truly matters is how you choose to react to it and what you make out of it. Life is all about leaning, adopting and converting all the struggles that we experience into something positive. When a person is child-like, they are teachable, full of wonder, trusting, uncomplicated, innocent, pure, and naïve. Their simple understanding of the rules of life has not been jaded or become cynical. To witness a pure character, follow a three year old for a day. They eat only when they are hungry and stop when they are satisfied. When they are sad, they cry. They sleep when they are tired and can catch a snooze anywhere. They are fascinated with nature and how things work. There intentions are clear. If they want something they ask. If they don’t get what they want, they figure out how to get it.When a person is child-like, they are teachable, full of wonder, trusting, uncomplicated, innocent, pure, and naïve. Their simple understanding of the rules of life has not been jaded or become cynical.They don’t mind getting dirty; in fact they enjoy mess. They don’t care what others think of them. In fact, they assume everyone loves and appreciates them. And why wouldn’t they? Which Of The Three Pots Are You In Right Now? We all face loss and sadness in our lives. But as the father explained with the three pots of water, we can choose how we handle live’s adversities. 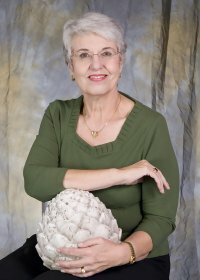 If you are having trouble coping with the death of a loved one, please contact Pet Grief Coach Judy Helm Wright today. She can assist you in walking through the grief, loss and mourning. Contact us at www.deathofmypet.com You will always be glad you did.